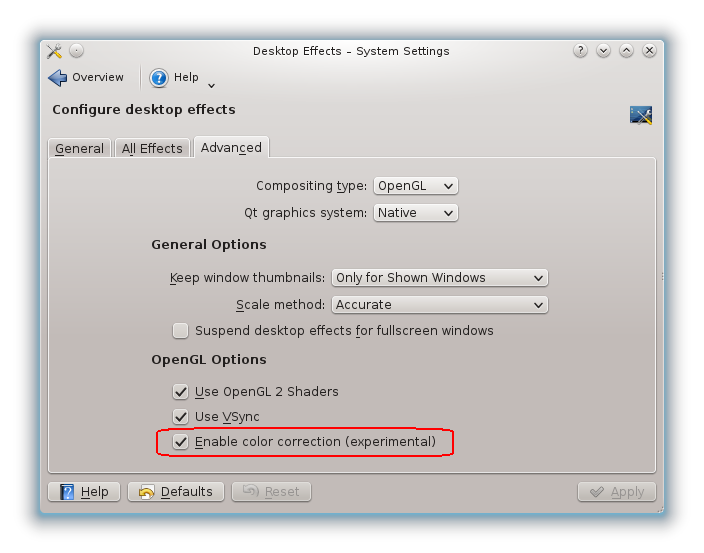 Shows how to enable color correction in KDE (KWin). current 14:51, 10 November 2012 704 × 553 (67 KB) Skelet (Talk | contribs) Shows how to enable color correction in KDE (KWin). This page was last modified on 10 November 2012, at 14:51. Content is available under Creative Commons License SA 4.0 unless otherwise noted.